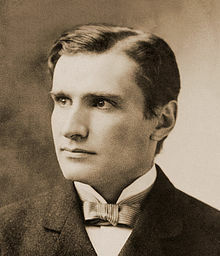 Conductor and composer Walter Damrosch (1862-1950) was a key figure in the early years of the Musicians Club. Musical Director of the New York Symphony Orchestra (later to be merged with the New York Philharmonic) from 1885 to 1928, Damrosch was a member of the circle of musicians and performers that ran the Club in its early years, including the first two presidents Tali Esen Morgan and David Bispham, the latter an operatic baritone who collaborated with Damrosch frequently throughout both of their careers. Damrosch would later become the club's third president, bringing a level of attention and prestige to a club that, by 1916, had a reported 500 members, as well as a demand so high that entrance fees were tripled and membership dues more than doubled. Born in Breslau, Silesia in 1862 to conductor, violinist, and composer Leopold Damrosch, Walter moved to the United States with his family at the age of nine. Considered the patriarch of one of the most influential family dynasties in American musical history, Leopold Damrosch founded the New York Oratorial Society in 1873, the New York Symphony Society in 1877, and was conductor and General Manager of the Metropolitan Opera shortly before his death in 1885, where he helped bring German opera to a wider American audience. By this time, the young Walter was already an established conductor himself, and was Leopold’s assistant conductor during his time at the Metropolitan Opera. Walter and his brother Frank succeeded their father as conductors for the New York Oratorial Society and New York Symphony Society after his passing, while Walter continued his assistant conductorship at the Met under Anton Seidl. Once of Walter's first major achievements during this period was conducting the American premiere—unstaged, nonetheless—of Wagner's complex final opera Parsifal in 1886, shortly after his 24th birthday. "Mr. Walter Damrosch and the Oratorio Society of New York have fulfilled a task for which they are entitled to cordial recognition," wrote a New York Times reporter after attending a public rehearsal. "Mr. Damrosch also merits commendation for the manner in which the production of 'Parsifal' was effected. The chorus and orchestra were in excellent form, and they were handled with a degree of intelligence and feeling and with a surety to which the smooth and correct rendering of the composition in hand bore convincing testimony." Damrosch continued as Musical Director for the Oratorial Society until 1898, after which Frank took over responsibility, but Walter’s tenure at the New York Symphony continued for the next few decades. Among his accomplishments by the start of the twentieth century were the founding of the short-lived but influential Damrosch Opera Company and and his role in the founding of Carnegie Hall, whose opening concert he conducted in the presence of guest Petyr Tchaikovsky. But his time with the New York Symphony, during which he commissioned several notable works—among them Gershwin’s Concerto in F and An American in Paris—left all his previous achievements behind. It was also during this time that Damrosch became involved with the newly formed Musicians Club of New York, which was partly founded as a supportive network for American classical musicians and composers, a cohort that sometimes struggled in what was an essentially European-dominated tradition. Damrosch had passed on the presidency by the start of the 1920’s, but remained connected to the club as its first, and so far only, Honorary President, and continued leading the New York Symphony until it merged with the New York Philharmonic in 1928. The work of Walter Damrosch with and for the school children of American has been a labor of love, and I sometimes think that love is the only form of perpetual motion so far discovered. It generates its own power and creates its own force. And so potent is that power and that not only can it literally lift mountains, but when launched on the boundless waves of the air, it can also change the course of human events and generate new ideas in millions of minds. It can enrich the spirit and enlarge the soul. And music, one of the uplifting and civilizing influences of our lives, has come to mean so much to all of us that we love it not only for ourselves but we also seek to make its joys available to others. […] To me, Dr. Damrosch is our outstanding ambassador of music. He occupies a position in music that is unique, and justly places him in the ranks of those who have elevated civilization. Not every musical performer is also a composer; Dr. Damrosch is both; and, more than that, he is a great teacher, who has instilled a love and appreciation of good music in the hearts of millions of human beings. Damrosch retired from Music Appreciation Hour in 1942, and remained an Honorary President of the Musicians Club until his death in 1950.